Manchester United have confirmed that Phil Jones has signed a new contract which will keep him at the club until June 2023 with the option of a further 12 months. The England international has been more of a regular in the starting lineup since Ole Gunnar Solskjaer took temporary charge of the club in December and he has now been rewarded for his progress with a fresh deal. “I am delighted to have signed a new contract. Manchester United has been a big part of my life for eight years and I love everything about this club," he told the club's official website. Jones has regularly divided opinion from the fans in recent seasons with his performances on occasions being far from impressive which have cost the team dearly. 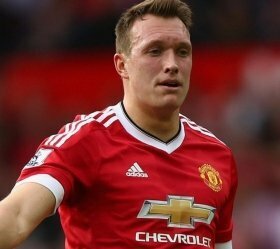 Despite this, United seem to be banking on the experience of Jones and Ole has recently indicated that the club believe that the centre-back can leave a huge impression during the prime of his professional playing career.